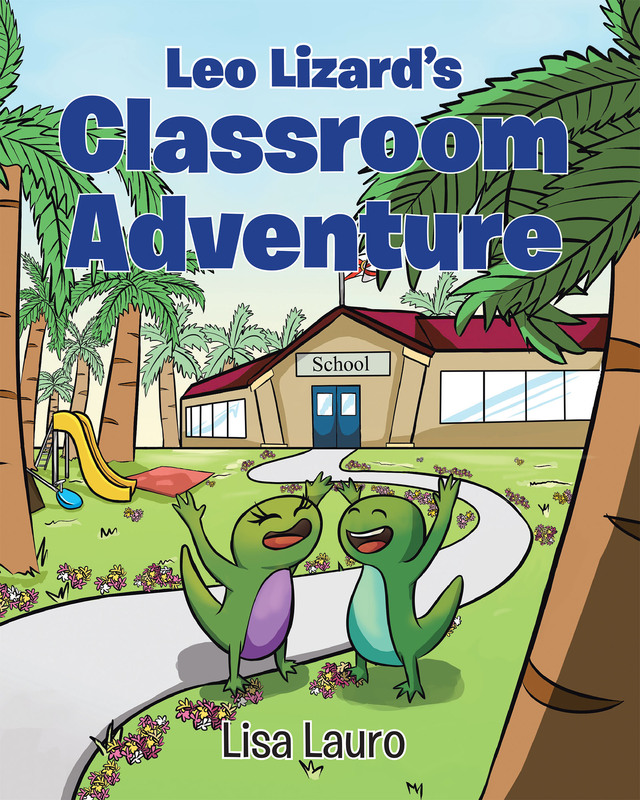 Leo Lizard's Classroom Adventure is about a lizard who lives near the schoolyard. He often plays hide and seek outside with his best friend, Lily. One day, there is a storm, and Leo is frightened. He runs superfast and slides under a hole at the bottom of a blue school door. Next thing he knows, he's in a classroom full of second graders! The classroom is busy with many children, a teacher, and lots of noise. This is something Leo is not used to because he lives alone with his mommy. Leo has to find a place to hide and fast! As he looks around the room, he sees something familiar-a big tree and many leaves. Leo knows he has to get to the big tree, but he must run in between many desks and lots of feet without getting stepped on. Leo decides to hide in a book bag for a bit to catch his breath. Then, the teacher, Mrs. Zippay, takes the students to art. Boy, is Leo relieved! Now he can get across the classroom to the rainforest bulletin board with the big tree. He is safe for now, but the kids will be back soon enough. Leo must ride out the storm before he can go back home. How will he ever get out of the classroom without being caught? The idea for the story of Leo Lizard's Classroom Adventure began one day when I was sitting in my classroom grading papers. All of a sudden, I heard a scratching noise in the big rainforest bulletin board beside my desk. When I looked closely, I saw that there was a real live lizard living in my bulletin board. At that moment, I got the idea for this story.